How Does Your Retirement Stack Up Against a Former President’s? Seeing President Obama standing with former presidents Jimmy Carter and Bill Clinton on Wednesday at the rally commemorating the 1963 March on Washington made me think back on the many great events in the history of our country. But I also thought of the future, and for me that always raises the subject of retirement. As it turns out, there’s a connection here. Earlier this year, the Congressional Research Service issued a report called Former Presidents: Pensions, Office Allowances, and Other Federal Benefits. Now, if you have your own retirement numbers handy, you can see how your benefits stack up against those that former presidents receive. For 55 years, since the passage of the Former Presidents Act, our former leaders have received pensions and other benefits. 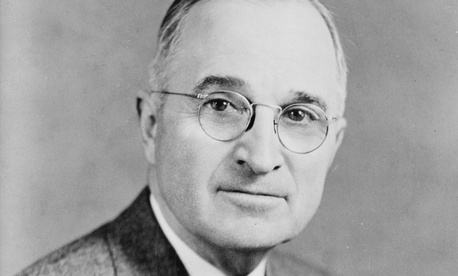 The law resulted from the perception that Harry Truman had endured financial difficulties after he left office, with an income based heavily on the sale of his father’s farm and proceeds from the publication of his memoirs. That problem seems to have gone away. According to CRS, no current former president has claimed publicly to have significant financial concerns. Recent presidents, such as Clinton and George W. Bush, seem to generate a nice income through writing books, giving speeches and other activities. Unlike the average federal employee, the amount of a former president’s retirement has little to do with his length of service or highest three years of average salary. The FPA provides that upon leaving office ex-presidents receive a pension equal to the pay of the head of an executive department (Executive Level I). In 2013, that is $199,700. Widows of former president are authorized to receive pensions of $20,000. That actually falls well short of what they would get if they were eligible for the standard maximum spousal survivor annuity under the Civil Service Retirement System (55 percent) or the Federal Employees Retirement System (50 percent). Nancy Reagan, the only surviving widow of a former president, has declined the $20,000 benefit. In fiscal 2012, the total cost of pensions and benefits provided to former presidents totaled $3,671,000. That’s down from 10 years before, when the total was $4,079,000. During that time, former presidents Gerald Ford and Ronald Reagan have died, as have former first ladies Lady Bird Johnson and Betty Ford. How long do former Presidents survive after leaving office? Like the rest of us, some don’t make it very long (James K. Polk lived only 103 days) and some live longer than many federal careers (Carter has been out of office for 32 years and is still going strong). The final benefits afforded former presidents are arrangements for a proper funeral. All U.S. flags must be flown at half-staff for 30 days following the announcement of a former president’s death. The incumbent president must notify Congress that the former president has requested a state funeral, and then set a date for the ceremony. The former president’s remains lie in repose for one day, and then are moved to the Capitol Rotunda to lie in state for an additional 24 hours. Even if you don’t find these details as fascinating as I do, I hope this summary of former presidents’ benefits gives you something to talk about around the water cooler. Or did sequestration take the water coolers away, too?